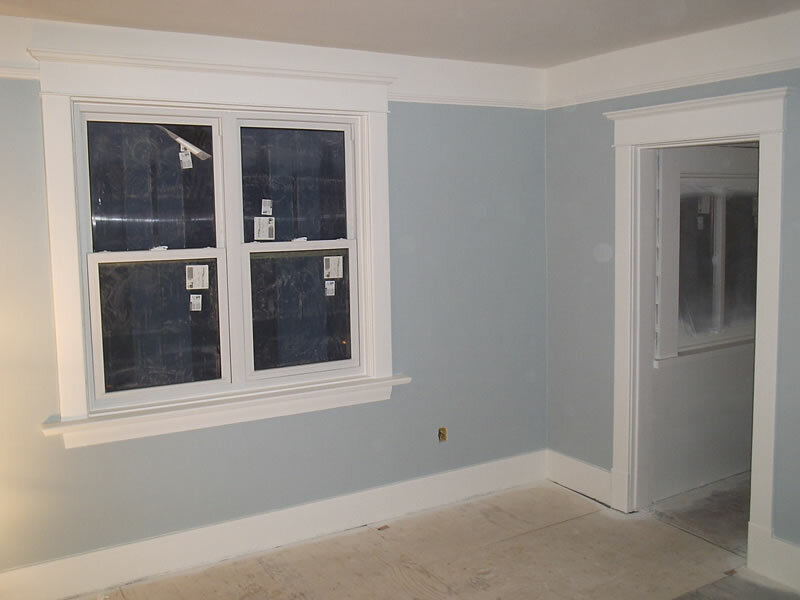 Felske Painting and Design specializes in interior painting and all varieties of finishes. If the interior of your house seems faded, dull, or just out of style, it may be that you need to refresh it with new, bright colours. Call us today for a free estimate. 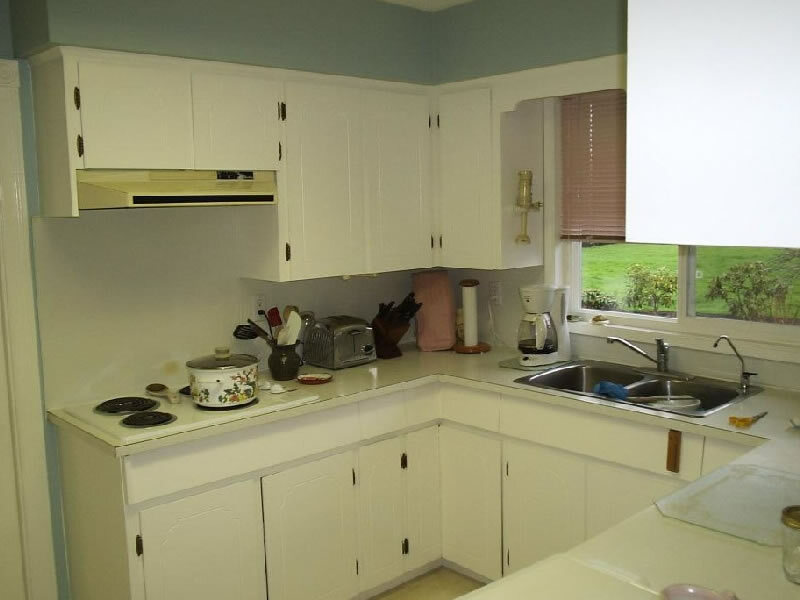 Brighten your home with Felske Painting and Design with a fresh coat of paint to increase the value of your property. When it comes to home decoration, one thing that is of prime importance is no doubt the home color scheme. Let us help. 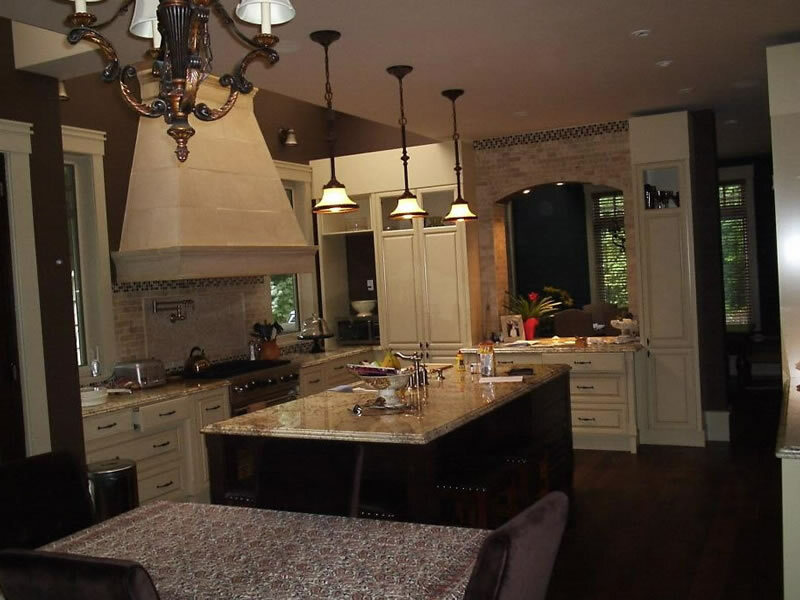 Felske Painting and Design specializes in original wall art and custom interior finishes for your home or business. We create original wall art including murals, decorative painting of vines and floral motifs, color washes, marbleizing and other faux-finishing options. 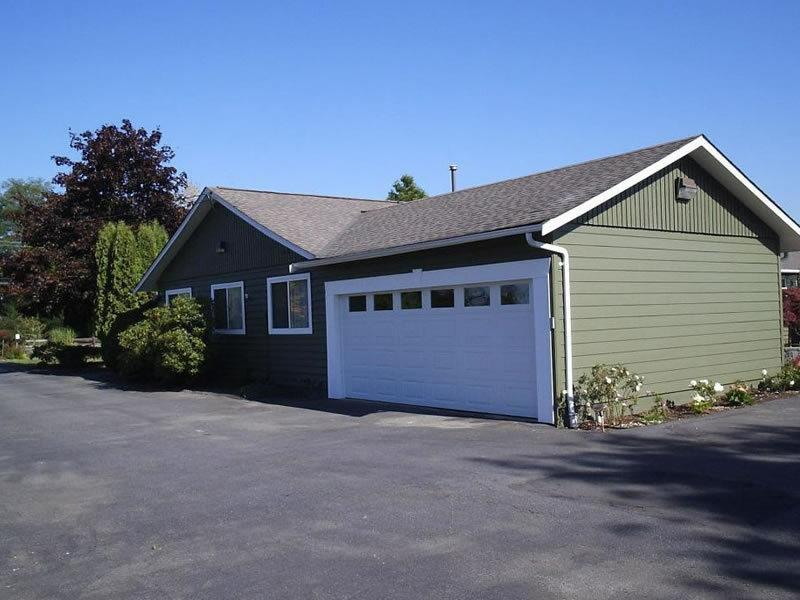 This house and garage hadn't been stained in over 20 years but now its good for another 15. 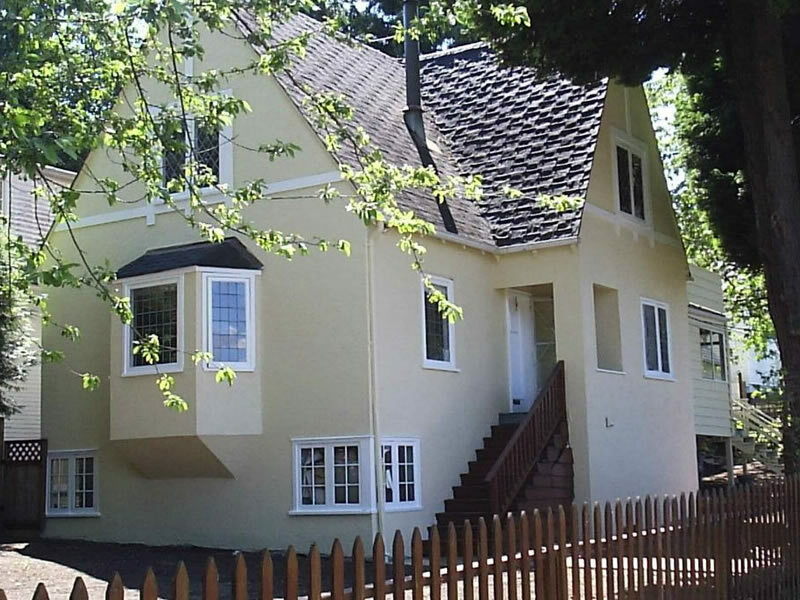 Our experts take great care in painting older and even historical homes, like this beauty. Painting can be a messy business so Felske Painting takes good care of your home. Let us help you choose the right color for your space and enhance the surroundings. 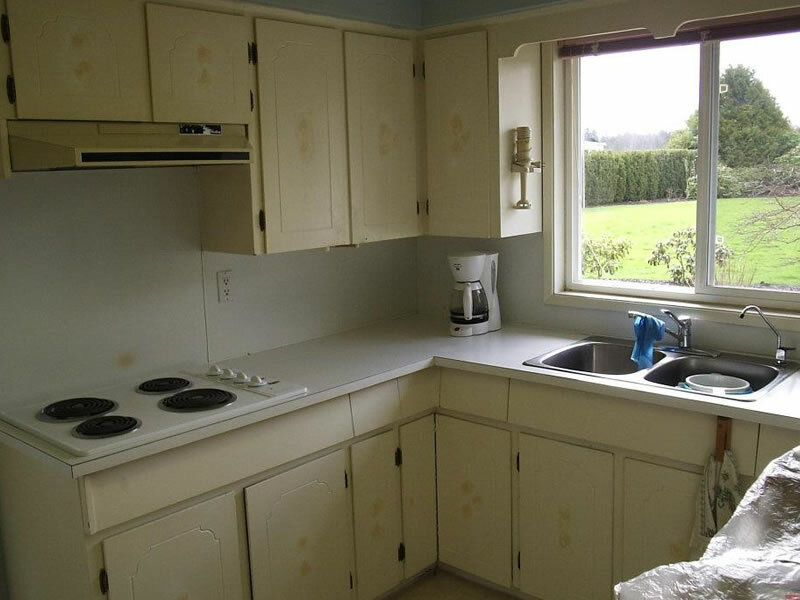 This Kitchen was about 40 years old and hadn't been painted in over 20 years. The surface was sanded and smoothed then new washable paint was applied. Felske Painting can give your painting job a free estimate. Just give us a call to book an appointment and we'll come to you and let you know how much, right there on the spot. 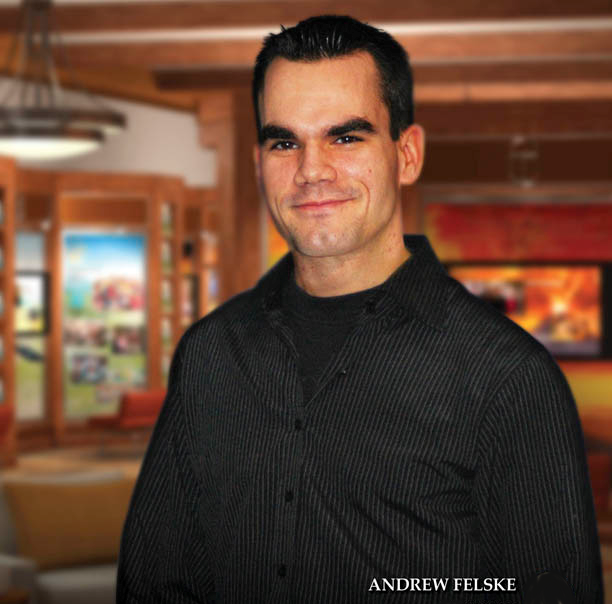 Andrew Felske, has been in the Vancouver painting industry for over 5 years. 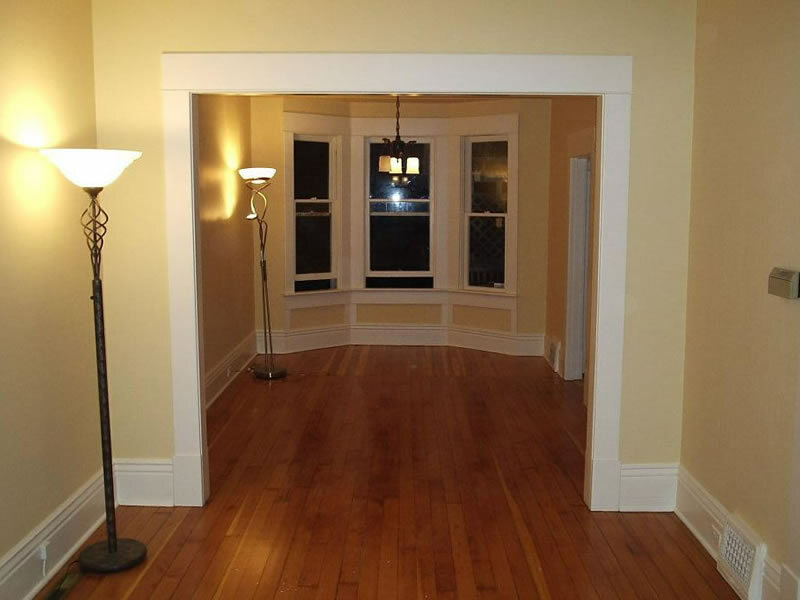 He and his team of professional painters are proficient almost all forms of painting techiniques and designs. 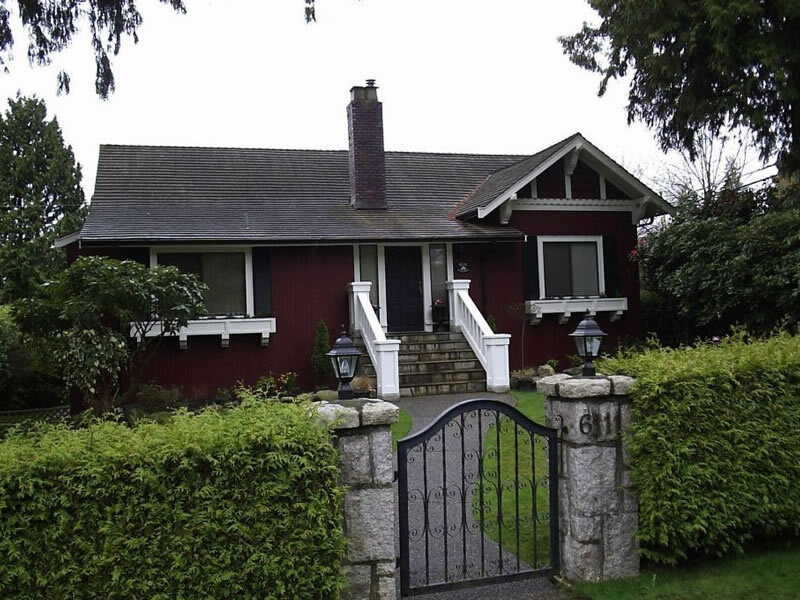 Felske Painting has painted in a wide variety of Greater Vancouver areas such as Richmond, New Westminister, Burnaby, West Vancouver, North Vancouver, Surrey, Langley and Coquitlam. “There is no secret to our business plan. We’re absolutely convinced that serving is the pathway to long-term success. The only pathway. We need to give more—serve more effectively—than our competitors. As we do this, our customers recognize it and choose us. We spend considerable time working to improve “our serve.” It’s the focus of all our training meetings—we literally spend hours talking about this. We talk about the situations in which we’ve failed to serve well (yes—this does happen! ), we celebrate the situations in which we’ve succeeded, and we talk about new ways to deliver more quality to our customers. Every week we do a random survey of our customers to gauge their satisfaction with our workmanship and service. Our average grade in 2009 was an “A”. Serving always has a cost. The best companies pay this cost, and do it every day. One day a customer wrote to thank me and tell me her story. She had inadvertently dropped her keys into her trash, and then deposited her trash in the dumpster. She was in a tizzy. When our worker Robert found out, he went down to the dumpster, climbed in, and rooted around until he found her sack, cut it open, and retrieved the keys. Robert was willing to do a dirty job. He was willing to serve, and as a result, our customer was overjoyed. If you are interested in us working with for you please feel free to send us an email. We will answer your questions as soon as possible. Thanks for your interest! © Copyright 2011 Felske Painting and Design - All Rights Reserved.